Fifteen years earlier, doctors had warned that Homer--a tiny, sightless kitten--was unlikely to survive and probably wouldn't have much of a life even if he did. 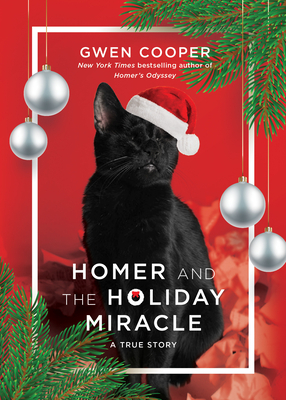 Miraculously and against all the odds, however, Homer grew into a feline dynamo who scaled seven-foot bookcases with ease, saved his human mom's life when he chased a late-night burglar from their apartment, and rose to global fame--paving the way for other special-needs animals once considered "unadoptable." Now, only two weeks before Christmas, with doctors once again decreeing that Homer didn't have much time--that he wouldn't even make it to Christmas Eve--Homer showed everyone that he still had one more miracle left in him. The heroic blind cat proved again, once and for all, that hope and love aren't things you see with your eyes. You see them with your heart.